It took me hell lots of courage to do this post because I know people will laugh and tease me after that. But it's okay. I'm gonna do it anyways. 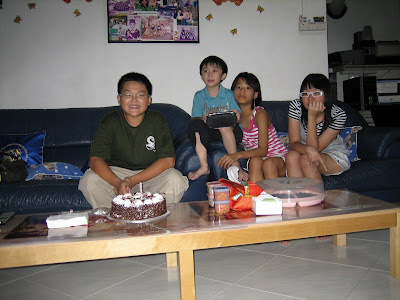 So , this is me during Chinese New Year in 2005. I've worn specs all my life. If i'm not wrong , i was 10 back then. This was taken in June 2006. You can see that i had absolutely no fashion sense back then. I loved to dress in tight t-shirt and just berms. AND LOOK AT MY HIDEOUS HAIR AND MY FAT BODY. A year later.... I wasnt ANY better. This was taken during my 12th birthday. UMM..
i actually have nothing to say about this photo. Not much difference from last year? 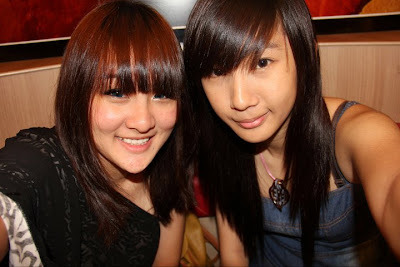 2008 CNY , I got my hair rebonded and BELIEVE IT OR NOT , MY TOP IS FROM THISFASHION(!!!) . 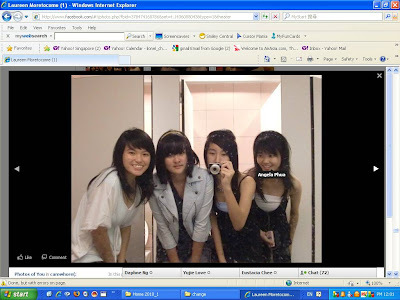 23rd Jan 2010: I chopped off my hair , learnt to shop online, slimmed down a little and started to put on makeup. Had to print screen from fb -.- This was a few months after the above picture. Also taken in 2010. 2011 - if you read my previous blogposts in 2011 , you can see that fashion has been the centre of my life and well..makeup too. I was an ugly duckling before. Even till now , i suffer from low self-esteem and I'm still mindful of what people think about me. I'm trying to change my mindset and be more confident about myself ; my appearance and my body. To everyone out there , love your body , yourself because you are a GIFT from God. God made you this way for a reason. Oh btw , dont forget about the giveaway which will END ON 19/6/11 , 11:59PM.